It’s on the inside that counts! 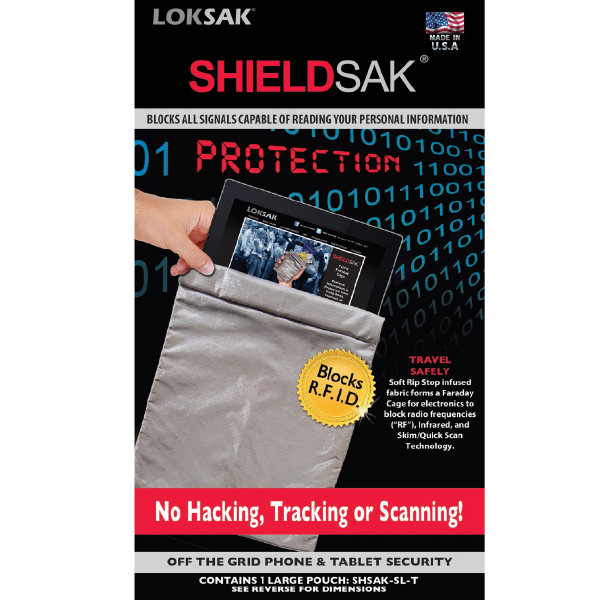 SHIELDSAK is a lightweight fabric bag, which blocks RF signals safely. Contactless readable documents, credit cards and devices are protected against unauthorized reading. No chance for hackers, scanner or tracker! RFID chips (radio-frequency identification) allow the automatic identification and localization of objects and living beings, and thus greatly facilitate the collection of data (colloquially also called radio frequency identification). The chips are nowadays for example built into credit cards or passports. SHIELDSAK makes it impossible to read these chips. 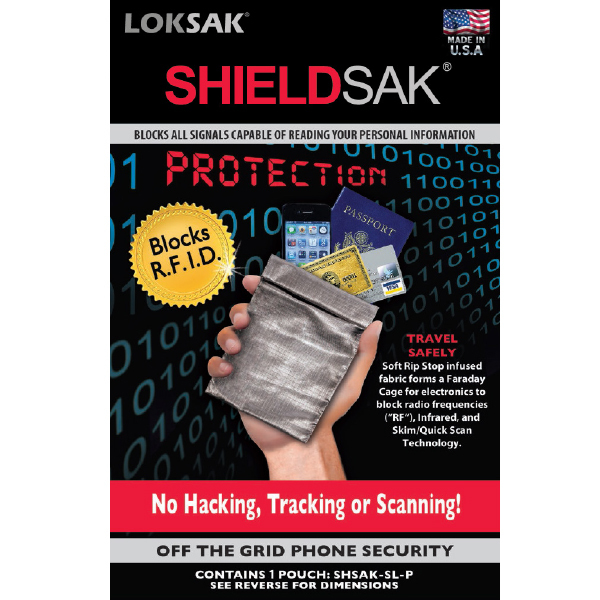 SHIELDSAK also blocks all other attempts, to transfer and read data from devices such as smartphones or tablets. entering or leaking from the bag and thereby protected. The protection of personal data is increasingly important for your own safety! 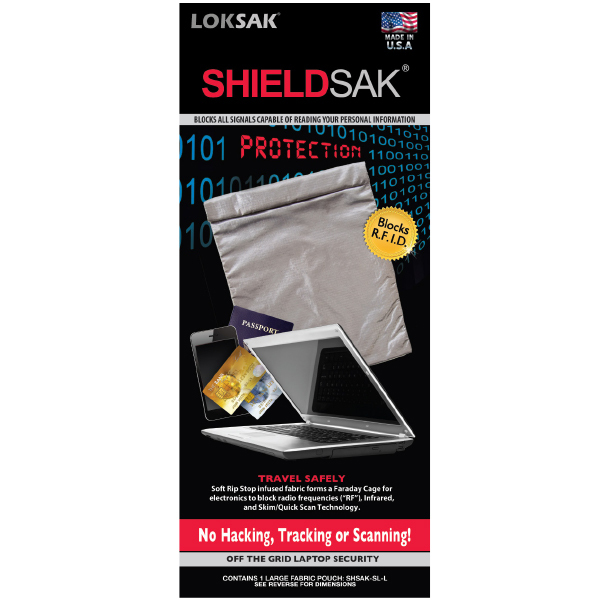 Packaged in aLOKSAK, all devices in SHIELDSAK are fully protected from all the elements! Exactly suitable for the small SHIELDSAK is the aLOKSAK 12 x 18 cm (aLOKD4X7).